Tell us about your interaction with AI and other intelligent technologies in your daily life. I thoroughly enjoy the technology revolution that we are living in today. Our lives are like The Jetsons in many ways, but it becomes easy to get used to if you don’t stop and appreciate it. The fact that I talk to my TV every day is incredible. I am an early adopter of pretty much everything because I love geeking out and seeing the creative ways that technology is integrating with our lives. How did you arrive at Maritz Motivation Solutions and what research do you lead at the company? I am probably the only Chief Data Officer in the country that has an English degree. I started out as a sports writer, then got a Masters in Economics and transitioned into writing about baseball statistics. From there, I worked in digital media for about 10 years before finally landing at Maritz in 2016. I lead our Decision Sciences team, a group of data scientists who specialize in merging the realms of AI and behavioral science. How do you see the raging trend of including ‘AI in everything’? I think it’s necessary. Even with the hype, I still don’t think that most people understand how transformative of a technology we have in front of us right now. So, I’d rather have it be a buzzword that everyone gets sick of hearing because at least it gets people reading and talking about it. As a mentor in the Tech industry, how should young technology professionals train themselves to work better with AI and virtual assistants? What message do you have for young tech professionals? There are a couple of things that I tell young professionals. First, you don’t need to learn this stuff in a classroom. The cutting edge of AI is out there right now, for free, on Kaggle, YouTube, Stack Overflow, etc. If you want to learn AI, there are no gatekeepers, just go learn. Second, you should probably have a passion project that is not the same as your day job. The process of learning new coding languages and technologies means a lot of trial and error. It helps to be working on something that is a hobby or a passion. For me, it was baseball, but for someone else, it could be movies, politics, gardening, fashion, or beekeeping. The more niche it is, there is a better chance that you are the first human being in existence to apply AI to that topic. How do data scientists engage with business leaders, emerging research in the AI/ML space, and how the Maritz platform solves related issues related? Not sure I understand the question, but I think I see the intent. Our goal is to make AI so integrated with our products that you can’t imagine the alternative. Think about your Google Home or Amazon Alexa. When you talk to them, you don’t need to understand the specific details of the neural networks they use, all you care about is if it worked or not. In that way, we want our products to be so effective that the conversation changes from the detail of the methodology to just talking about strategy and implementation. Do you think AI could be better leveraged for Recruitment and Employee retention? How does Maritz Motivation Solutions empower businesses to become AI-ready in dealing with these operations? I think AI’s use in HR is in its infancy, it hasn’t even taken its first steps. The implications are exciting, but the stakes are high. If you use AI to target a coupon to customers, the worst-case scenario is that you send a few extra coupons or that you don’t get the redemption rate you were hoping for. In recruitment and retention, you are talking about people’s livelihoods. We are taking extra care in this area to test, pilot, and remove bias. The future here is very bright. I think that your job, where you spend 40 hours a week, should be at least as personalized as your Starbucks experience. How do you consume information on AI/ML and related topics to build your opinion? A ton of daily reading. My Twitter and LinkedIn feeds are constant sources of great links on AI/ML. I’m also an avid user of Pocket, which I used to save links when they are too long to read while on the go. What makes understanding AI so hard when it comes to actually deploy them? Letting go of control is the hardest part. You have to accept the fact that the algorithm can understand more facets and data points than you can. If we put a cap on AI that it cannot be more complicated than human understanding, it is like building an elevator in a skyscraper that only goes three floors. Which is harder – choosing AI or working with it? Neither. The hardest part about AI is the hours of data capturing, formatting, and manipulation before anything fun ever happens. Would most businesses turn to AI eventually for better performance? Absolutely. Depending on who you read, every business will use AI, the only question is, “When?” I think for the majority of businesses, there are tangible uses for AI today, and the number of uses will only grow over time. Elaborate on your playbook for company-customer interaction and the role of AI/ML in making it human-friendly. In many ways, the AI is the voice of the customer. Brands are constantly trying to get their message in front of their customers and potential customers. Through AI, brands can now predict with incredible accuracy which messages will best resonate with each person. The AI is communicating that person’s preferences to that brand. That’s exciting to me, it is using technology to bring humanity into a context where it didn’t exist before. Democratization. Currently, the implementation of AI is in the hands of data scientists and data engineers. AI will become easier to use over time, and thus get into more people’s hands. I think it is a similar path to spreadsheets. At one time, spreadsheets were only in the realm of finance professionals, but now everyone uses Excel, and in ways that transcend its original use. The good, I think we are looking at a transformative technology that will enrich all of our lives. The bad, I think a lot of companies will buy products that promote themselves as “AI” but will be disappointed in the results. You can’t simply buy “AI” in a box and turn it on. It doesn’t work like that. The Ugly, I think the discussions about bias and fairness are just getting started. Be prepared to read about examples where people implemented an AI system, only to find out later that it was biased. There needs to be serious thought and effort in this space. What is your opinion on “Weaponization of AI”? How do you deal with the challenge here? It depends on what you are asking about. If it is literal weapons, then I don’t feel qualified to answer. If you are referring to a more generic use of AI to exploit and profit, then my answer starts here: I think people will use AI to price gouge and squeeze profits. This is unavoidable. However, the transformative uses of AI will be those that make people’s lives better. Use AI to save people time or give them a better experience and the profit will follow. What matters the most in AI will be what the “Big Four” do with it (Google, Amazon, Apple, and Facebook). These companies will make or break the public’s trust in AI and its applications. On one hand, look at Alexa, Siri, and Google Home. Nothing has done more for the adoption of in-home AI than those. On the other hand, look at Facebook’s Cambridge Analytica scandal. That tremendously hurt the public perception and adoption of AI. I am interested in the future of devices. The mobile phone has been a revolution, but it spends most of its life in your pocket. I think the next generation will be the “always-on” type of device, maybe a camera, earpiece, watch, or eyeglass. Maybe it seems crazy that someone would wear an always-on device, but I think adoption will be directly correlated to consumer utility. If it makes your life better, there isn’t even a discussion about adoption. As a tech leader, what industries you think would be fastest to adopting AI/ML with smooth efficiency? What are the new emerging markets for AI technology markets? I’m a little biased here, but I think loyalty and HR are on deck. Anywhere that has data, but the uses of that data are not yet mature is a great candidate for AI. Get up from your desk and walk around. It helps your creativity and critical thinking to just take a walk. For me, it often feels like a rock stuck in a gear, once it is removed, the whole machine starts turning again. Thank you, Jesse! That was fun and hope to see you back on TecHR soon. 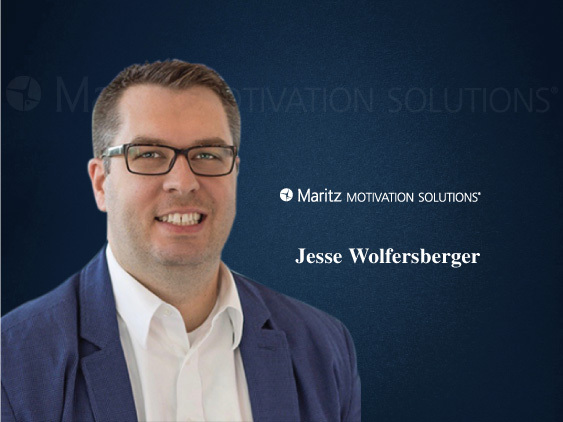 Jesse Wolfersberger is Chief Data Officer for Maritz Motivation Solutions, which provides loyalty programs to US and global companies. He leads Maritz’s Decision Sciences team, a group of data scientists who specialize in merging the fields of behavioral science and artificial intelligence, helping brands apply data science and machine learning to consumer behavior. 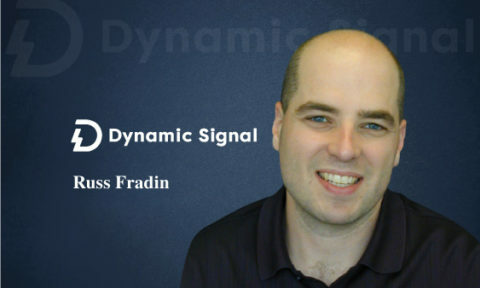 Jesse began his career as a sports writer, before jumping into marketing as Director of Consumer insights for digital media think tank GroupM Next. In his free time, Jesse uses his data skills in the baseball world, where he consults for a Major League team. Maritz Motivation Solutions helps companies drive growth by unlocking people potential through consumer loyalty, employee engagement and sales incentive programs. We believe that people are at the heart of any business’s success. That’s why we partner with Fortune 500 companies who are ready to discover the best approach to motivation: helping people define and become their best selves through their companies, careers, or favorite brands. Leveraging unsurpassed industry experience, decades of behavioral science research and a proprietary approach to data and decision sciences, Maritz can motivate human performance like no other company in the world. Today, more than 100 million people participate in client programs representing industries including hotels, airlines, pharmaceutical, automotive and financial services. Sudipto is a technology research specialist who brings 9 years of professional blogging and technical writing experience. 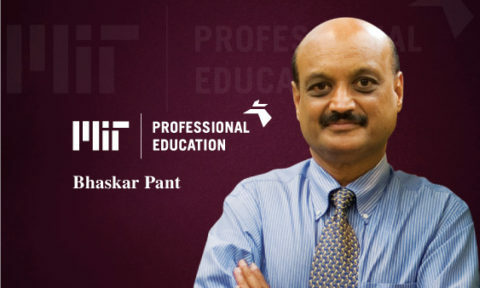 He has developed cutting-edge content for over 100 websites and mobile applications. Our ‘Wordsmith’ is an engaging conversationalist and has done more than 200 interviews with some of the leading names in automobile, digital advertising, IT/ITES, medical technology, real estate, gemstone certification, HVAC, tourism and food processing industries. Apart from technical writing, he loves to blow off steam by chronicling stories about top medical professionals, innovators, spiritual 'gurus', gym trainers, nutritionists, wedding planners, chefs and off-beat hobbyists. The best place to find him beyond work hours— the shadiest underground gym in the city. He is an ardent sports buff and contributes with his witty live commentary too. Pingback: Active Placement Drives A Shift From People Finding Jobs To "Jobs Finding People"
HR Tech Primer: What is HR Technology? TecHR Series covers contemporary and futuristic scenarios in the HR technology realm. 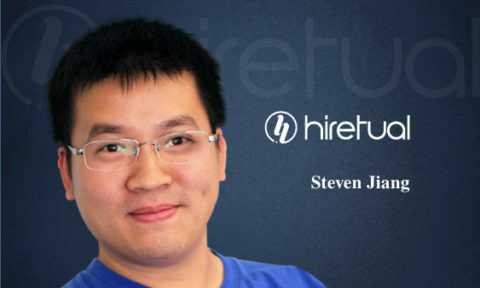 We cover the emerging trends and latest developments in HR Technology via news, interviews and HR tech primers to stimulate greater interaction between HR teams and employees.